A major retrospective of Kazimir Malevich will be this summer’s blockbuster exhibition at Tate Modern in London. The new show looks at Kazimir Malevich who created the infamous ‘Black Square’ and played a leading role in the Russian avant-garde movement. This pioneering artist is one of the most radical and significant figures in modern art, who created a new visual language called Suprematism. His iconic compositions are instantly recognisable, dominated by abstract geometric shapes and bold colours. The show follows a chronological format and allows visitors to see Malevich’s journey from religious imagery to abstraction. The artist was influenced by folk art and Russian Orthodox icons, whose influence we can see in his early paintings. He was also inspired by the work of the Post-Impressionists and modern art movements in Paris in the early 20th century. Malevich was aware of artistic giants, including Monet, Gauguin, Picasso and Matisse, through visiting paintings in the homes of the Moscow based collectors Sergei Shchukin and Ivan Morosov. A highlight of the exhibition is a recreation of nearly all the surviving works from the legendary Last Futurist Exhibition of Paintings 0.10. Only one photograph exists of the exhibition, held in Petrograd in 1915, which marked the founding moment of Suprematism. Nine of the works identified in the picture are on show in London. Other highlights include Malevich’s designs for Victory of the Sun. The artist designed non-realistic sets and costumes for this radical Cubo-Futurist opera which marked a turning point in his career. The Tate’s exhibition provides an opportunity to look into Malevich’s unique contribution to theatre. Tate’s exhibition concludes with an examination of Malevich’s return to figurative painting, after the Russian Revolution, when modernist works were attacked for being ‘formalist’ or ‘bourgeois’. After 1932, the artist returned to a more realistic style of painting in keeping with the new official style of Socialist Realism in the Soviet Union. Through a display of his lesser known later works, Malevich’s participation in the quest for a new society and his confrontation with the Stalinist regime are also considered. 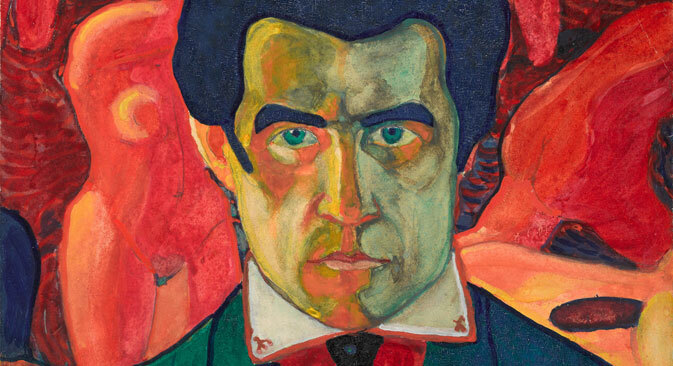 This groundbreaking exhibition, which also forms part of the UK-Russia Year of Culture 2014, looks set to be the perfect introduction to Malevich's work. Tate’s display explains his extraordinary achievements and how Malevich became one of the fathers of modern art. Theodora Clarke is Editor of Russian Art & Culture and Director of Russian Art Week in London.